Gina Romano is a highly successful trial lawyer with Bergman/Deketomis, a firm dedicated to protecting the public by exposing and penalizing corporate crooks and their allies in government. Well into her thirties, Gina hasnâ€™t overcome the anger and defensiveness resulting from a bizarre and traumatic childhood. As she contemplates whether to marry solid, attractive and loyal veterinarian Bryan Penn or to send him packing, the murder of a friend and mentor, Angus Moore, turns her life into a quest for vengeance. 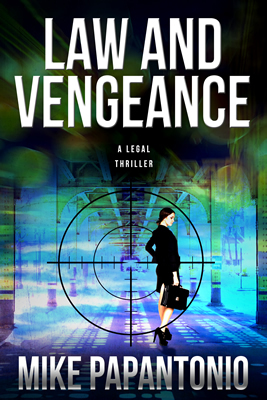 In consort with partner Nick Deketomis, Gina runs headlong into a life and death struggle against weapons manufacturers, a gun rights lobbyist, psychopathic Chicago police, a hi-tech genius assassin, and the U.S. Department of Justice. Still, the most formidable and dangerous enemy she faces is herself.